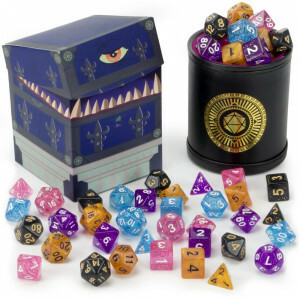 ✔ HANDLE WITH SCARE: Each cup comes in a reusable mimic treasure chest box. 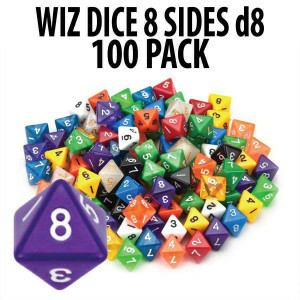 Store minis, tokens, or more dice (we all have more dice), just watch your fingers! 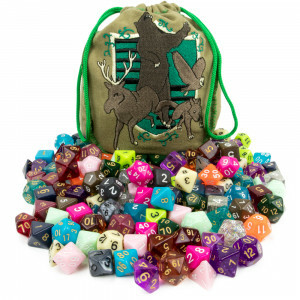 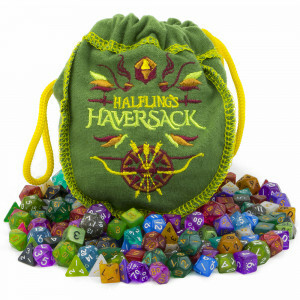 ✔ MARVELOUSLY MINI: The Halfling's Haversack contains 140 mini polyhedral dice measuring just 10mm (2/5 inch) tall!